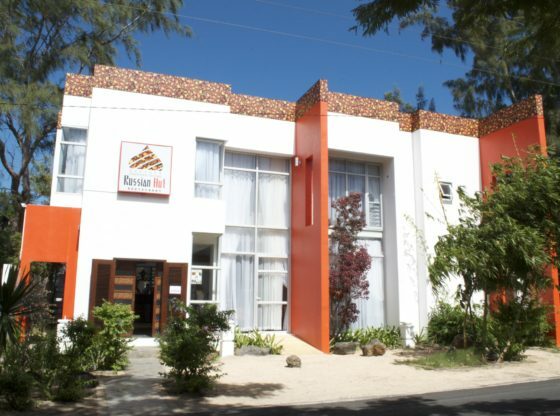 Russian Hut is the first Russian and Eastern European cuisine restaurant in Mauritius. Here food lovers will found delicious traditional Russian cuisine with traditional Russian atmosphere. Offers authentic Russian style design and décor. Offers lunches with favorite soups: Borsch & Solyanka. Enjoy Dinners with Russian music and TV. They take bookings for groups or parties like birthday, corporate etc. For children’s they have 2PC’s with internet to play games which are available in kids corner. The price range is between $30-50. Address: Royal Road, Pointe aux Cannoniers, Pamplemousses, Mauritius.